The minor leagues contain much of the romantic allure that leads people to a life of baseball fandom. While 30 Major League Baseball teams play in many of the nation’s largest cities, Minor League Baseball is spread out across the country, in 256 towns and cities of varying sizes: it’s more affordable, it’s more family-friendly, and the players are chasing the dream of one day reaching the majors. There’s a poetry to all of that, and it often feels like MiLB is the pure-of-heart, relatable counter baseball needs against the corporate excess of MLB. There’s a dark underside to all this idyllic enchantment, however. Minor League Baseball, for nearly the last 100 years, has existed to feed Major League Baseball the players of tomorrow, and it does so by exploiting the thousands of players who are hoping they are part of that future. The very notion of someday reaching the majors that connects minor league baseball fans to its players has also tethered those players to a system that does not care for them, not emotionally nor physically. Want to be a big-league player someday? You’ll have to suffer through horrible living conditions, awful food, an incessant schedule, and low pay. There’s one more thing, too: don’t you dare try to interrupt Major League Baseball’s remaining feudal system by unionizing. What is it like playing in the minor leagues? Minor League players are either drafted out of high school or college, or signed as international free agents. In either case, they are under team control for six years of service time in the minors: should they make it to the majors, that clock resets to give their team six years of big-league control. A player drafted at 21 who works their way up the developmental ladder and makes it to the majors at 27 will have no say about what team they are going to play for until they’re 33 years old, with their best years already behind them. While the MiLB schedule isn’t as lengthy as MLB’s, it tends to run around 140 games per season, and takes five months. Short-season leagues begin after the MLB Draft in June, and are three months long, but the players within those leagues are either coming off of their high school or college season in the spring, or spent that time in spring training facilities working on their game, or playing in a Rookie League. In all of these cases, the schedules are tightly packed, with few days off to speak of, and travel by bus. When considering the bus travel, please remember that a team from Portland, Maine is in the same league as one from Richmond, Virginia, and they both have to play a team from Akron, Ohio. Minor League Baseball players do not have the same labor protections as Major League Baseball players, and nowhere has this been more evident in 2018 than MLB lobbying the federal government to restrict minor league wages this spring. That’s not a power MLB, nor its team owners, wield over MLB players, not with the existence of the Major League Baseball Players Association. The minors, though, have no such organized resistance to ownership, and are at the mercy of MLB’s and MiLB’s whims. Congress’ recent decision to restrict minor league wages actually gave them a slight raise: now, the minimum minor league salary is $1,160 per month instead of $1,100, and at the cost of future benefits. Players are only paid during the regular season (which runs from or within April through August), are not eligible for overtime, and do not get paid for spring training. The highest-paid minor league players are pulling in more than that — $2,150 per month, according to Jacobin — but again, for just five months of the year. They’re all working upwards of 70 hours per week, with a pay structure capping them at compensation for just 40 of those. When the baseball season ends, their bills do not, and players have to pick up additional jobs where they can. In conversations with former minor leaguers and labor leaders in sports, there were two numbers that kept coming up: six, and two. Two is the number of bedrooms in the apartment that as many as six minor league teammates would often live in, in order to split rent as many ways as possible on these meager salaries — salaries that, after rent, had just enough leftover to ensure that players could buy some macaroni and cheese or hit up the value menu at McDonald’s to sustain themselves. On the road, things were a little bit better, but please read “better” with as much relativity as possible: the per diem for away games is $25 per player. If a player wants to keep eating fast food, then hey, $25 can certainly be stretched out over three meals. Or two, if the players are lucky enough to have their team buy them a pre-game sandwich the league president will then berate them for eating. MiLB players are subject to random drug testing punishments for more than just performance-enhancing drugs, unlike MLB players. That means MiLB players can be suspended — and harshly — for marijuana use: a 50-game suspension is more than one-third of the season missed, without pay, for someone who could barely afford to live on the full version of their salary. Why didn’t minor leaguers unionize when Major Leaguers did? The Major League Baseball Players Association formed in 1954, but they did not have a collective bargaining agreement until 1968, when Marvin Miller was made the first official executive director of the MLBPA. Miller was a significant upgrade over the previous union leader, Robert Cannon, who was only in a part-time role, once fell a single vote short of becoming MLB’s commissioner, and whose mission statement was “make no demands, no public statements.” Miller was no such ally of MLB’s ownership, and with his ascension came major changes: it took less time for Miller’s MLBPA to dismantle the reserve clause and institute free agency than it did for the proto-MLBPA to get their first CBA. The appeal of unionizing every pro baseball player, though, was always outweighed by a lack of resources, the geographic decentralization of the minors, and the dreamy idealism of the players. “The notion that these very young, inexperienced people were going to defy the owners, when they had stars in their eyes about making it to the Major Leagues — it’s just not going to happen,” Miller says. While Miller was a labor legend who stood tall against Major League Baseball’s owners for decades, just holding the MLBPA together, unified against management, was a herculean task of its own. The divergent interests of veterans and young players threatened to split the MLBPA’s unification more than once, in a battle of those who already got theirs against those who might never get the chance: expanding the bargaining unit to include all of the minor league players just wasn’t feasible in this environment, especially as the allure and power of unions across America waned over the latter stages of the 20th Century. The players were compelled to strike multiple times under both Miller and his successor, Donald Fehr, and were locked out by the owners on three separate occasions as well. Revenue for Minor League Baseball wasn’t always what it is today: just as MLB’s profits have soared to heights that seemed impossible in the ‘70s and ‘80s, so too have MiLB franchise values and profits. There was little chance Miller or Fehr would have gotten anywhere including minor league players within the bargaining unit given the nature of the battles they were fighting with ownership and the various MLB commissioners: consider how MLB’s ruling class were compelled to treat the players who visibly made them money with lockouts and collusion. The lack of association between the MLBPA and minor league players makes life more difficult for those still on the farm. Gene Orza, who was in the MLBPA for 26 years as one of their top labor lawyers, reminded Slate that the Players Association doesn’t represent the minor league players, and therefore, had no obligation to help them out. Now, that’s not to say that the MLBPA is a monolithic institution that doesn’t care for minor leaguers or their plight: the MLBPA not representing minor league players means they have no legal obligation to help them out, and except for informal, individual assists throughout the years where the MLBPA could do so, they have stayed out of MLB’s way in this arena to fight their own considerable battles. The most significant, collectively bargained assist that the MLBPA has ever given the minors was to make it so that minor league players on the 40-man roster were MLBPA members with higher salaries: this expanded the scope of the MLBPA, and improved the quality of life for players on the fringe as well, as players who could never quite break into the majors but were in the high minors or shuttling back-and-forth between Triple-A and the bigs were no longer making poverty-level wages. Instead, they were now full-fledged MLBPA members, with health insurance and benefits and (as of 2015) a $41,400 minimum salary, and they were no longer subject to the same draconian punishments for smoking marijuana as their teammates who were not on the 40-man, to boot. Why haven’t MiLB players organized themselves? Obviously, attempts to organize the minors stalled out, but Broshuis has not given up on fighting back against MLB’s uncontested rule, either. Now a lawyer, Broshuis is representing Aaron Senne and other former minor league players in the class-action lawsuit that helped motivate MLB’s lobbying to Congress the past few years in the first place. 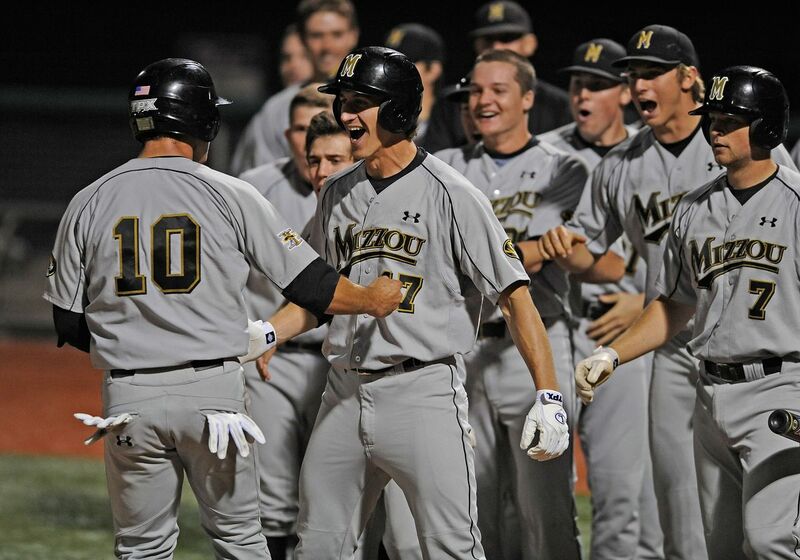 Aaron Senne (center) would be drafted out of the University of Missouri by the Marlins in 2010, and is now at the center of a class-action lawsuit against MLB. MLB not only has their rich and powerful owners keeping minor league players overworked and destitute, but their friends in Congress are there to help make sure all of this mistreatment is legal: it’s no wonder Broshuis’ efforts to unionize failed to take hold, as the fears of his teammates and fellow minor league players seems justified against this two-headed threat. The key, then, is for enough of the rest of the minor league players to see what Broshuis saw: it’s not an impossible task, but as Marvin Miller and Donald Fehr and Garrett Broshuis and many others knew and know, it certainly feels like one. Minor league unions are out there — just not in baseball. The Pro Hockey Players Association (PHPA) came into existence in 1967, one year before Marvin Miller and the MLBPA signed their first collective-bargaining agreement with MLB’s owners. If anything is to serve as both a guidepost and a reason for MiLB’s players to come together in solidarity against MLB’s ownership, it’s the PHPA and the quality of living it has helped to provide its members. Like in MLB, the NHL pays the salaries of its minor league players, not the minor league team itself. No one is about to confuse the profits of the National Hockey League and Major League Baseball — the NHL made nearly $4.5 billion in revenue in the 2016/2017 season, while MLB pulled in over $10 billion last summer — and yet, the NHL’s minor league players in the AHL are making a minimum salary that’s higher than the baseline the MLBPA was able to negotiate out of MLB for minor leaguers on 40-man rosters. A Double-A level hockey league gives its players money to encourage them to take classes that will guide them in society after their playing career, thanks to the help of the PHPA. The non-unionized Double-A baseball player, seeing the end of their career on the horizon, has no such fallback plans or assistance coming their way from the league they’ve given their youth to. The PHPA didn’t reach this level of success overnight: as Landon mentioned, back in his playing days when he was a team representative for the PHPA rather than its executive director, players weren’t making a living off of just their hockey money. There was resistance at first to forming a union — from other players, who had the same fear that minor league baseball players do today — as well as from hockey’s ownership class, which was happy to intimidate in order to keep its employees in line, just like in any other industry. Labor-relations are fraught with tension, and in many cases, labor peace is a lie endorsed by management in the hopes that the laboring class will be satisfied with what they already have — so that it can be subtlety stripped away. The PHPA and the NHL seem to listen to each other, however, in a joint effort to keep the NHL and its players thriving … and it works. Minor league baseball players have not organized out of fear. Their big league counterparts have not been able to help them or fully loop them into their own union, as MLB’s ownership has kept the MLBPA plenty busy with their own battles, and that’s not even counting how difficult it has been for decades now to get and keep all of the Players Association’s current members on the same page. Major League Baseball’s owners are happy to keep their feudalistic churn on the farm going, running players into the ground and swapping them out with new ones every season in service of giving the future Major League players in the minors competition on their way to their goal. MLB has no incentive to improve conditions for its minor league players, not when it has Congress on its side, not when players are too afraid to stand up for themselves, and not when the system is working well for owners who get to exploit thousands of minimum-wage employees every year as they generate minor league revenue, as well as help build up the stars that make MLB the $10 billion industry it is today. Despite all of this, it’s difficult to believe this dam is going to hold forever. At some point, enough minor league players are going to ignore their fears. There will come a day when the players have been pushed too far, just like when the MLBPA formed, just like when the PHPA formed. When that day comes, everything in baseball is going to change, but for now, MLB’s minor league players remain stuck in poverty and stuck in the past. Previous PostSocialism Will Be Free, or It Will Not Be at All!